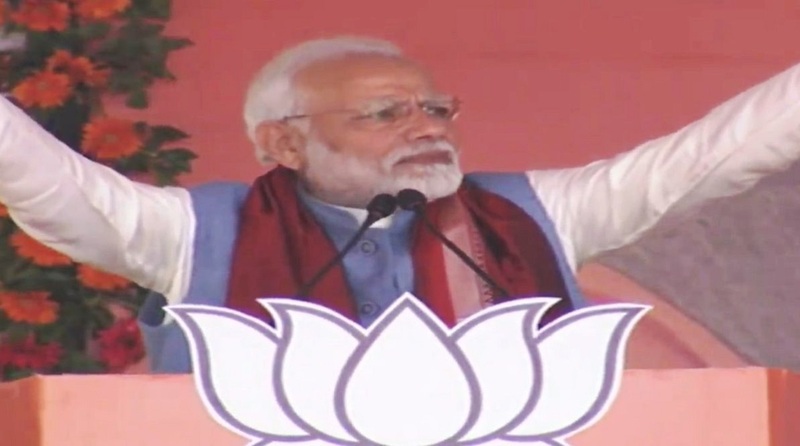 Prime Minister Narendra Modi on Tuesday attacked previous governments at the Centre for ruling the country like their “Sultanates”, neglecting its rich heritage. He said the central government has cancelled around six crore fake ration cards, gas connections, scholarships with wrong names, grabbing pension under wrong names over the last four years. “We plugged these leakages, saving crores of rupees. All ration cards have been digitised and around 80 per cent of them have been linked with Aadhaar,” said the Prime Minister. “The middlemen used to loot the money meant for poor. We have stopped this. We ensured everyone gets what they deserve,” he added. The Prime Minister said there are people who are angry because he has put a stop to their loot and corruption. Highlighting the developmental works being carried out by the Centre in the state, he attacked the Odisha government for failing to utilise the District Mineral Foundation (DMF) fund in the mineral bearing areas. “Odisha has Rs 4,000 crore in its DMF Fund which has remained unutilised so far. What has happened to the government? It is in deep slumber. The government of Odisha should ensure that the benefits reach the tribal people. “Do not wait for the elections. Ease the problems of people, elections will keep coming,” said Modi. He said the central government has allocated over Rs 20,000 crore for the development of Railways in Odisha in the last four years alone, which is five times more than the allocation by the previous government. In a month, development projects worth more than Rs 20,000 crore have been either inaugurated or initiated in Odisha, said Modi.